What is now recognized as the neighborhood of San Jose, 4.5 miles south of Jacksonville, was originally envisioned to be a grand master-planned development. 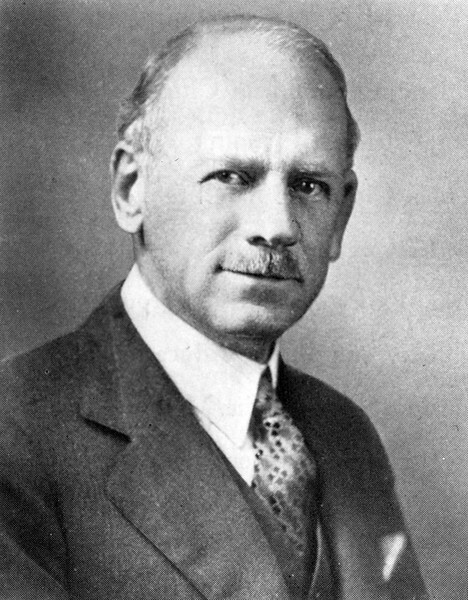 Plans for San Jose date back as early as 1914, when the San Jose Company was established with Claude Nolan as its president. Nolan, owner of Claude Nolan Cadillac, one of the first major automobile dealers in Florida and the first to drive a car between Miami and Key West, backed this project because he believed that the automobile would foster the growth of outlying suburban communities. However, initial plans for San Jose were indefinitely delayed by the beginning of World War I. 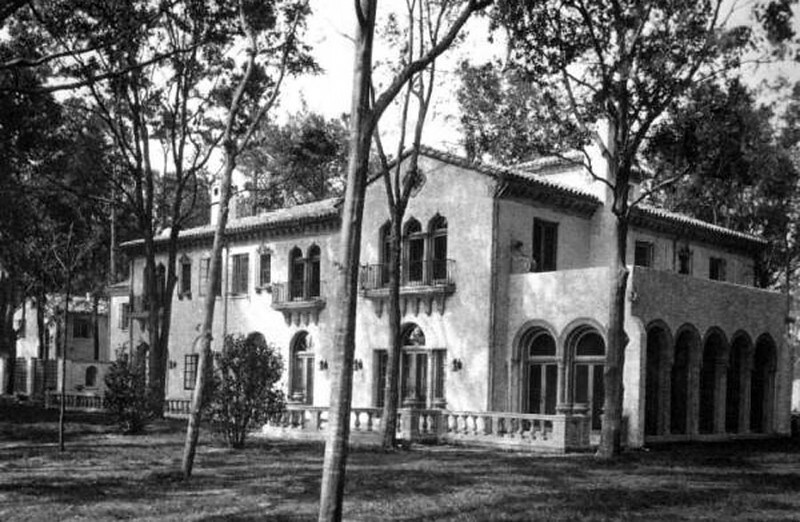 The development of San Jose would finally move forward during the midst of the Florida land boom, when the San Jose Estates Company, headed by Charles W. Strickland, officially purchased 1,000 acres of the former San Jose Plantation on January 25, 1925. 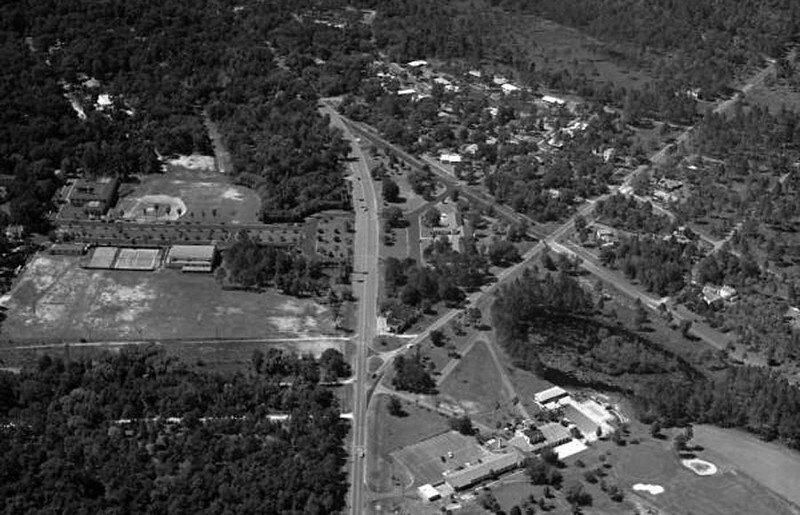 In addition, the company hired noted city planner John Nolen to layout a plan for what was to become a self-contained, suburban community. Born in Philadelphia in 1869, Nolen was the first American to identify himself exclusively as a city planner. Over the course of his career, Nolen completed more than 400 projects, including city plans for Venice, Sarasota, West Palm Beach, and St. Petersburg. Nolen’s layout for San Jose Estates included a radial pattern for streets named after Spanish cities, broken by a landscaped parkway with major public buildings as focal points throughout the development. Hotels, country clubs, schools, retail and churches, centered around Plaza del Sanchez were intended to make up the core of the 1,911 lot project. 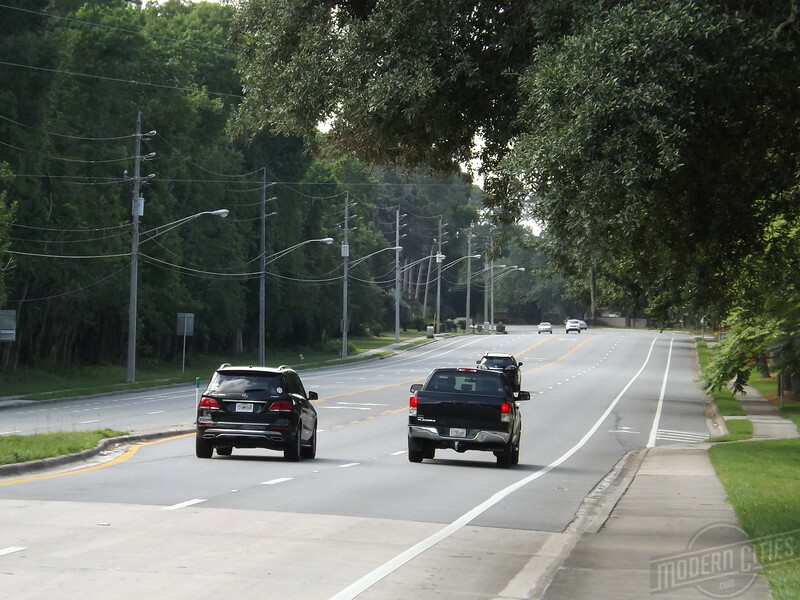 In addition, each street was to include paved sidewalks, which was rare for suburban Florida at the time. Intended to be “a bit of Old Spain in the new world”, construction of Mediterranean Revival style buildings, many by Jacksonville architectural firm Marsh & Saxelbye, were soon underway. Sales totaled $732,000 the first week of July 25, and the first phase sold out by August 10, 1925. In 1926, the luxurious San Jose Hotel opened its doors as the centerpiece of San Jose. However, despite strong opening sales and the hotel’s opening, the nails were already being hammered into the development’s economic coffin. By this time, Florida’s real estate market was well on its way to going belly up. By the end of 1926, plans for San Jose’s second hotel, the Vanderbilt, were cancelled and buyers were defaulting on their payments leading to all construction ceasing at the grand development. At the time, a total of 37 structures: 30 residences, 3 public buildings, and 4 gatehouse had been completed. Two years later, things would turn for the worse when the San Jose Hotel, the development’s centerpiece, closed its doors for good. 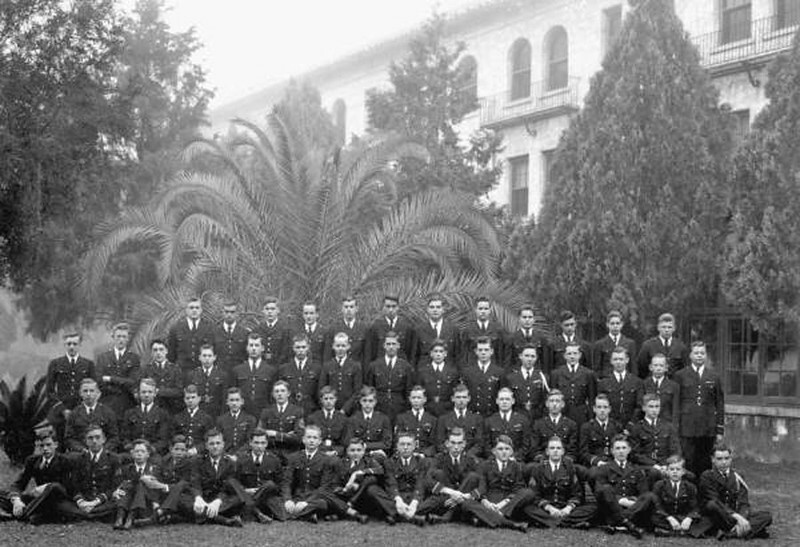 Sold to philanthropist Richard J. Bolles, the former hotel became an all-boys’ military academy in 1933, under the leadership of Agnes Cain Painter. Today, the Bolles School continues to operate as a private college preparatory day and boarding school. Notable alumni include deceased country rock musician Gram Parsons and former professional athletes Chipper Jones, Dee Brown. With the development beginning to fail, the proposed Vanderbilt Hotel site was sold to industrialist Alfred I. DuPont, who had recently relocated from Delaware to Jacksonville with his wife, Jessie Ball DuPont. The DuPonts then hired Marsh & Saxelbye to design the 15,000-square-foot, 25-room Epping Forest mansion and estate, which was completed in 1927. Before being acquired by Gate Petroleum Company in 1984 and redeveloped into a riverfront yacht and country club, the DuPont’s estate played host to U.S. presidents, powerful men (Vanderbilt, Carnegie, etc.) and kings. Following the end of World War II, much of what was envisioned to be San Jose was sold to Stockton, Whatley and Davin and re-platted. While much of Nolen’s street network was preserved, contemporary mid-20th century in-fill became the architectural style of choice, as opposed to the Mediterranean Revival styles of the 1920s. Dominate styles of mid-20th century infill include mid-century modern and ranch style residences nestled next to Mediterranean Revival survivors from the the 1920s, offering an architectural mix hard to find in most of Jacksonville other neighborhoods. Also, traffic and land patterns of mid-20th century Jacksonville were radically different from the era of John Nolen. The introduction of I-95, a few miles east, rapidly transformed long time frontier into what is now the city’s booming Southside. It’s addition siphoned commercial, multi-family and industrial development opportunites east of San Jose’s original boundaries, preserving its established residential flavor as an unintended consequence. State Road 13/San Jose Boulevard connects San Jose with downtown Jacksonville. Today, a century has passed since Claude Nolan’s visions of a establishing a Florida suburb built with the automobile in mind. As the decades have passed, San Jose’s landscape, parks, streets and masonry mix of architectural styles have aged gracefully. Furthermore, Jacksonville’s built form now reaches into neighboring counties, to the point where many consider San Jose to be one of several core city neighborhoods. Nevertheless, despite its long lost history, San Jose remains a distinct early development in two important respects. It is by far, the most extensively planned early 20th century development in the region. No other offered the amount of public amenities that were included in John Nolen’s plan for San Jose. In addition, it was designed to function independently from the core city, as opposed to being a nearby phyiscal expansion of boom-time Jacksonville.